The following is a list of professional women violinists who were born before 1920. It is by no means exhaustive, but as I get more and more information, expect more and more biographies. Let me know if your favorite isn’t on the list! Remember, you can hear many of these women on my Youtube channel. This list was last updated on 23 August 2011. Grażyna Bacewicz (1909-1969). Bacewicz was born in Poland and studied violin, piano, and composition at the Warsaw Conservatory. She studied under Carl Flesch in the 1930s. Later in life she shifted her professional focus away from performing and onto composition, a field in which she found great success. Her output includes seven violin concertos. Ethel Barns (1874-1948). Barns was a British violinist, pianist, and composer. She and her husband, baritone Charles Phillips, established a concert series called (appropriately enough) the Barns-Phillips Chamber Concerts. She was passionate about furthering the cause of women in music, and she wrote at least two violin concertos. Lady Ann Blunt (1837-1917). A granddaughter of Lord Byron, Lady Blunt was a polyglot, artist (she studied with John Ruskin), equestrian, and violinist. 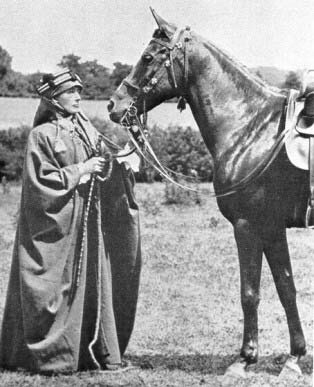 She and her husband, the adulterous Wilfrid Scawen Blunt, shared a mutual passion for Arabian horses. (In fact, according to Wikipedia, “the vast majority of purebred Arabian horses trace their lineage” to their stock.) She studied under violinist Leopold Jansa, who also taught Wilma Norman-Neruda. Her Stradivari, the 1721 Lady Blunt, was sold in 2011 for $15.9 million. Guila Bustabo (1916-2002). Bustabo was born in Manitowac, Wisconsin, and began to play the violin at the tender age of two. As a child she studied in Chicago and at the Juilliard School in New York. 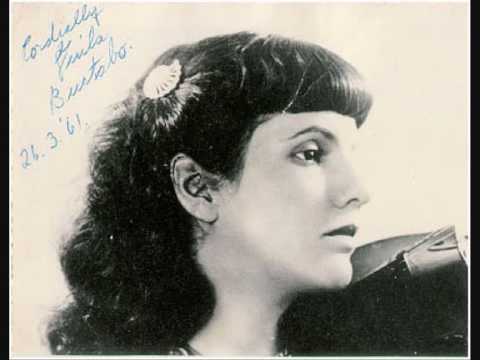 While living in Europe in the forties, Guila played under William Mengelberg, a conductor who came under criticism after the war for not doing more to resist the Nazis. General Patton actually arrested Guilia after hearing that she had worked with Mengelberg, although all charges against her were later dropped. According to Wikipedia, this incident limited her career opportunities in the United States; however, there are also indications that her bipolar disorder may also have contributed to her professional decline. Her recordings of the Sibelius, Bruch, and Wolf-Ferrari concertos (the latter of which was written for her) are landmarks in the discography. 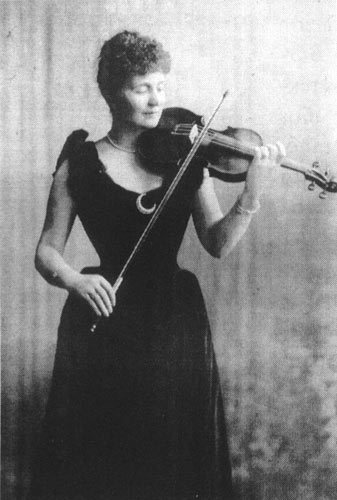 She later taught at the Innsbruck Conservatory and played in the Alabama Symphony. Lillian Shattuck (1857-1940). Shattuck studied under Julius Eichberg in Boston and around 1878 formed the first all-female string quartet in America, called, appropriately enough, the Eichberg Quartet. The members of the group traveled to Berlin to study under Joachim; reportedly he was so astonished to see an all-female group from America that he permitted them all entry to the Conservatory. Shattuck later became an important pedagogue in the Boston area. Vivien Chartres (1893-1941). Chartres, the daughter of renowned author Annie Vivanti, was one of the foremost British prodigies of the late Victorian era. She was often compared in the press to Mischa Elman and Bronislaw Huberman, and she toured throughout Europe to great acclaim. Her mother wrote a fascinating novel loosely based on her life called The Devourers in 1910. In her later childhood, Chartres gave up touring, although she kept a violin for the rest of her life. Santa della Pietà (early to mid-1700s). Santa della Pietà was a violinist, singer, and composer at the Ospedale della Pietà, a Venetian music school for female orphans. (Vivaldi famously taught at the Ospedale and wrote large amounts of repertoire for his female pupils.) She was only one of many talented women musicians (including women violinists) who worked at the Ospedale. See the documentary “Vivaldi’s Women” for more information. Adila Fachiri (1886-1962). Fachiri was born in Budapest into a musical family (her great-uncle was Joseph Joachim and her sister Jelly d’Aranyi). She began to study violin when she was ten, but despite her relatively late start, she advanced extremely quickly. She married Alexander Fachiri in 1915. Several important composers dedicated works to her. Stefi Geyer (1888-1956). Geyer was born in Budapest, began playing the violin at the age of three, and proved to be a prodigy. She studied with Jenő Hubay in Budapest and toured throughout Europe as a child. When she was a teenager she met Béla Bartók, who promptly fell in love with her and wrote his first violin concerto for her. 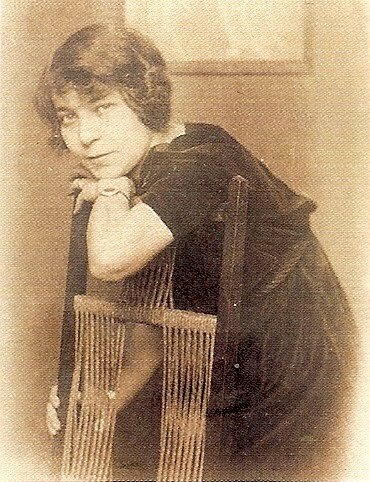 She never played the work…and never returned Bartók’s affections. Later in her life another composer Othmar Schoeck fell in love with her, and also wrote her a violin concerto. Geyer had a long successful career teaching and performing. Marie Hall (1884-1956). Hall was born to a poor family in northern England. She was a prodigy, but her family could not afford to send her to a prestigious institution to study. However, in 1901, upon the advice of Jan Kubelík, she made it into Ševčík’s studio in Prague. She had a fantastic debut in 1902 in that city and later became a sensation in London. Vaughan Williams wrote The Lark Ascending for her, and they consulted over revisions to the piece. May Harrison (1890-1959). 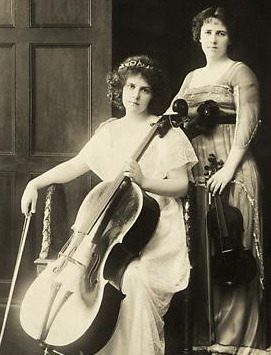 May was one of four musical sisters (Beatrice was a cellist, Monica a singer, and Margaret a violinist). At eleven, May won a scholarship to attend the Royal College of Music. Later she studied in St. Petersburg with pedagogue Leopold Auer. She championed the Brahms double concerto (with Beatrice on cello) and the music of her fellow countryman Frederick Delius. Her quick-study skills were legendary: she learned the massively demanding Elgar concerto in two weeks. Leonora Jackson (1879-1969). Jackson was born in Boston and studied in Chicago, Paris, and Berlin. In Berlin she was a pupil of Joachim. Frances Cleveland, the former First Lady, provided Jackson with financial support for her studies. Jackson toured throughout the world, playing on a Stradivari from 1714. She retired upon her marriage at the age of 36. Hélène Jourdan-Morhange (1892-1961). Jourdan-Morhange was a close friend of Maurice Ravel’s (in fact, there is a rumor that he once proposed marriage to her). She met him after a performance in which she played his piano trio. Ravel dedicated his sonata for violin and piano to her, but arthritis kept her from ever performing it. He mused about writing a violin concerto for her, but unfortunately this project never materialized. She later wrote a book about her friendship entitled Ravel et nous. Daisy Kennedy (1893-1981). Kennedy was born in south Australia. She began learning the piano at four and the violin at seven. When Jan Kubelík came to visit Australia, she secured a meeting with him, as well as a letter of recommendation to Kubelík’s teacher, Sevcik. She was a great musical success in both Europe and the United States. She is distantly related to violinist Nigel Kennedy. Teresa Milanollo (1827-1904). 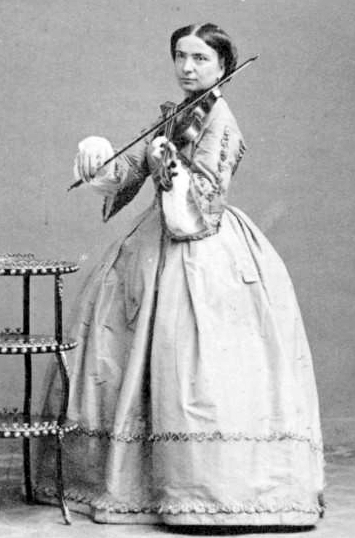 Milanollo was one of the first great female violinists. Despite her being a girl, her father encouraged her studies and even relocated from Italy to Paris so that she might learn from the best teachers. She and her violinist sister Maria made an extraordinary impact on the European music scene in the 1840s, creating sensations akin to those that greeted Paganini and Liszt. One of her great passions was charity work. She largely retired from the concert stage after her marriage at the age of thirty. 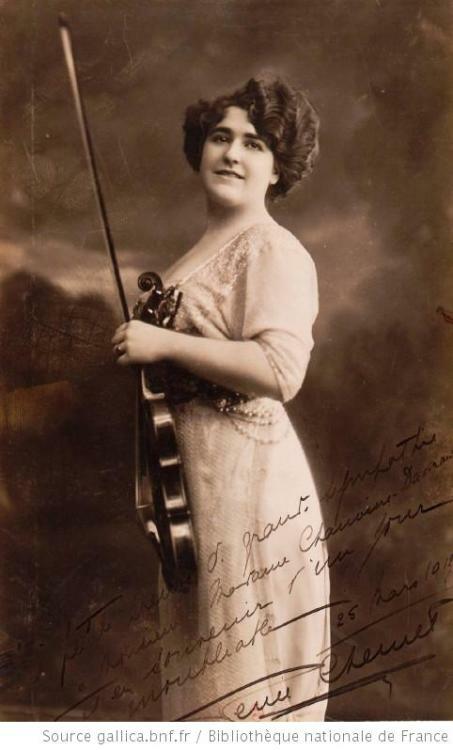 Despite her relatively short career, she opened many doors for the multitudes of female violinists who would follow in her footsteps. Alma Moodie (1898-1943). Moodie was born in Australia. When she was nine, she won a scholarship to study at the Brussels Conservatory. 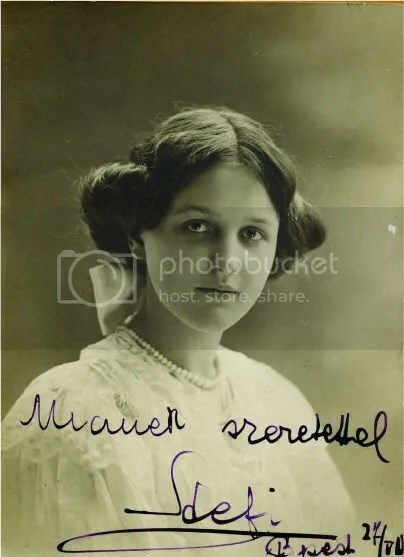 As a teenager, she befriended famous composer Max Reger, who conducted and accompanied her at many of her concerts, and dedicated his Praludium und Fuge for solo violin to her. 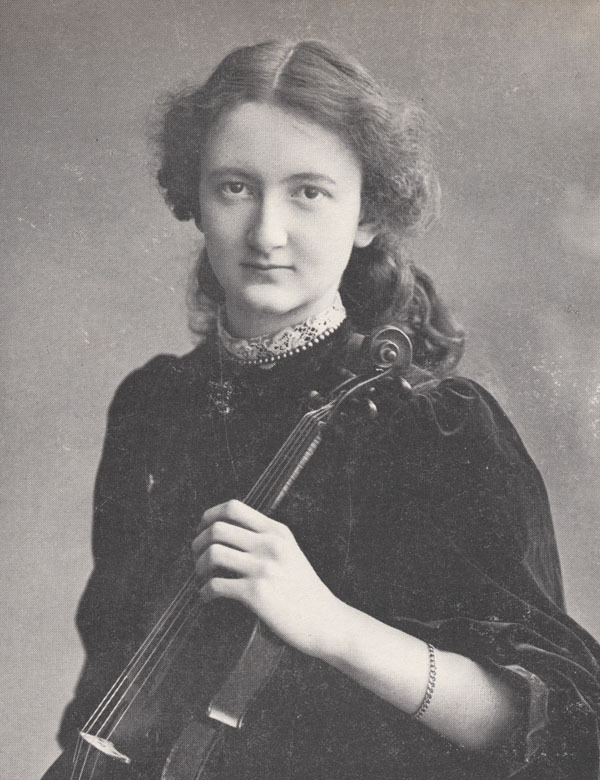 For a variety of reasons, she did not play much during World War I, and after the War, she studied under Carl Flesch to rehabilitate her playing (Flesch said that of all his students, she was the one he liked best). She had a brief affair with Gustav Mahler’s daughter’s ex, but eventually married a German lawyer named Alexander Spengler, who was not particularly supportive of her career. Details of her tragically young death, at the age of forty-five, are hazy. She never made a single recording. Wilhelmina Norman-Neruda, later Lady Hallé (c 1838-1911). Wilhelmina was born into a musical family of prodigies. 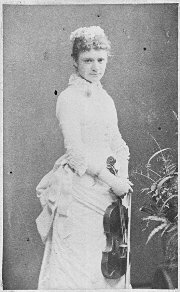 During her childhood, the violin was not considered to be an appropriate instrument for a lady, so her father encouraged her to play the piano instead. But when he discovered playing her brother’s violin in secret, he relented. She made her first public appearance at seven. Her first marriage was to Swedish composer Ludwig Norman; after his death, she married pianist and conductor Charles Hallé. She was considered to be one of the great violinists of the age, especially in her adopted country of Britain. For a longer biography, click here. Ginette Neveu (1919-1949). Neveu was born in Paris into a musical family. (Her brother Jean-Paul became a professional pianist who often accompanied her.) She made her orchestral debut at the age of seven. When she was fifteen, she was the winner of the Henryk Wieniawski Violin Competition, beating out a 29-year-old David Oistrakh. Neveu died in a plane crash at the age of thirty; her death is one of the great musical tragedies of the twentieth century. Kathleen Parlow (1890-1963). Parlow was born in Alberta and was one of the first great instrumentalists to come out of Canada. 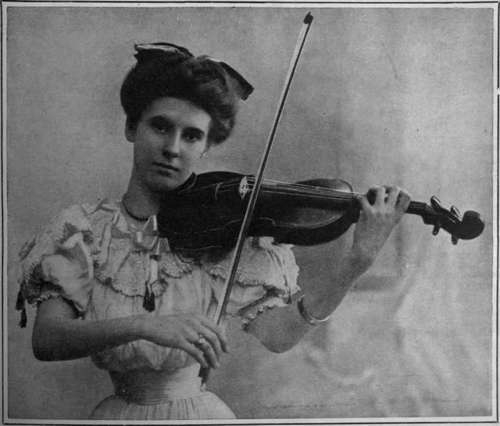 She and her mother moved to San Francisco in 1894, where she began to take violin lessons. She made astonishingly quick progress and by 1906 she had secured a coveted place in the legendary St. Petersburg studio of Leopold Auer. According to Wikipedia, “Kathleen Parlow…[was] the first foreigner to attend the St. Petersburg Conservatory. In her class of forty-five students, Parlow was the only female.” She had an international career as both a soloist and a quartet player, and later became a teacher at Juilliard and University of Western Ontario. Maud Powell (1867-1920). Powell was born into a progressive family in Peru, Illinois. She studied in Chicago as a child, then later in Europe with Schradieck, Dancla, and Joachim. As a teenager, she secured her New York Philharmonic debut by walking into the hall and demanding the conductor listen to her play. She was hired on the spot. She was one of the most important American instrumentalists of her day, male or female, and was the first great American violinist who could stand comparison with the best of the European-born virtuosi. She premiered the Dvorak, Tchaikovsky, and Sibelius concertos in America; she was the first white musician to include the works of black composers in her programs; and she was one of the very first recording stars. She is one of the bright shining lights of American music history. Emily Shinner (1862-1901). We don’t know a tremendous amount about Shinner, but we do know that she was one of the first female students to study under Joachim in Berlin. 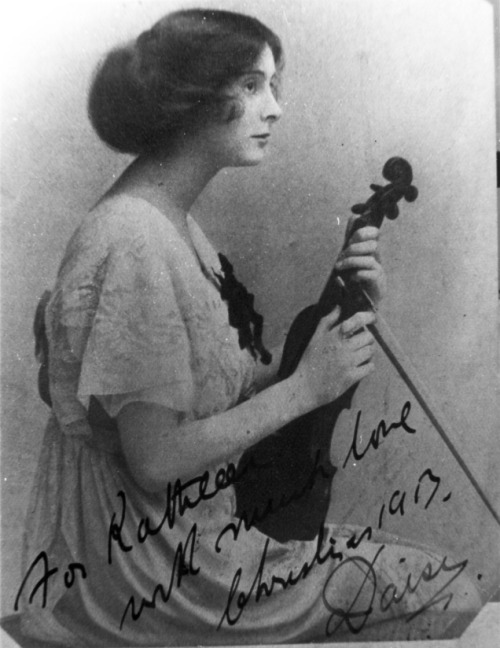 Later in her career she became a specialist in chamber music, and the Shinner Quartet, which was made up of women, became internationally renowned. She died at the age of 39 after giving birth to a still-born son. Maddelena Lombardini Sirmen (1745-1818). Sirmen was born in Venice and studied at one of the many music schools there. 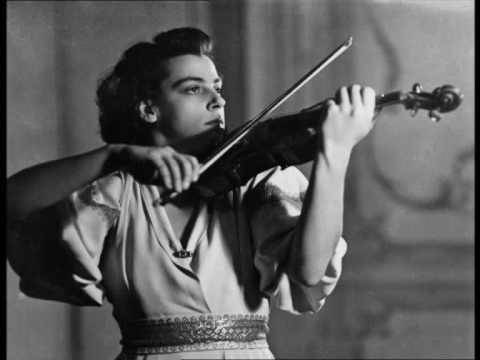 She studied under the legendary virtuoso Giuseppe Tartini, and he once wrote a letter to her about violin technique that has since become famous. When she was 22, she married a violinist named Ludovico Sirmen, and the two toured and composed together. 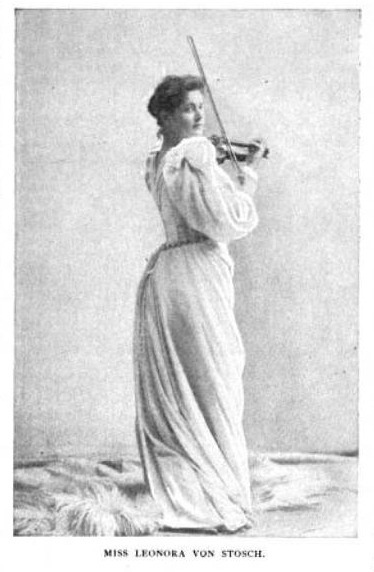 Later in her career she began to perform as a singer, although she was not as successful a singer as she was a violinist. Marie Soldat Roeger (1863-1955). Soldat was born in Graz, Austria, and began to study the violin in 1871. She was also a gifted pianist and vocalist, and it wasn’t until 1879 that she decided to focus on the violin. That same year she came to the attention of both Brahms and Joachim, both of whom aided her in her musical studies. She became closely associated with the Brahms violin concerto, and she – not Joachim – was the one who introduced it to many European cities. Rachel Barton Pine now plays her 1742 del Gesu, which Brahms arranged for Soldat to acquire. 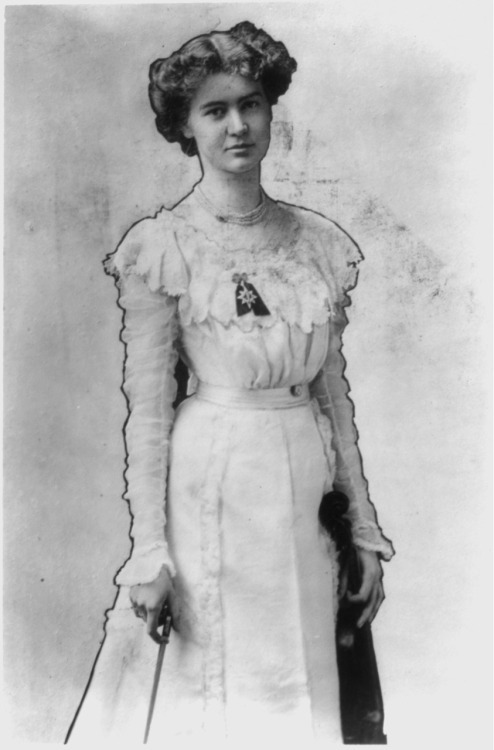 Leonora von Stosch, later Lady Speyer (1872-1956). Von Stosch was born in Washington, D.C., the daughter of a professional writer mother and a Civil War veteran father. She studied in Brussels, Paris, and Leipzig. She first married Louis Meredith Howland, but that marriage ended in divorce; later, she married Sir Edgar Speyer. She was well-known in Edwardian music circles in Britain, and she was the one who premiered portions of the Elgar violin concerto in private performance. She suffered an injury that kept her from playing the violin professionally, and so she began to explore her interest in writing. Her book Fiddler’s Farewell won the 1927 Pulitzer Prize. Regina Strinasacchi Schlick (c 1761-1839). Strinasacchi was born near Mantua, Italy, and studied at the Ospedale della Pietà in Venice. 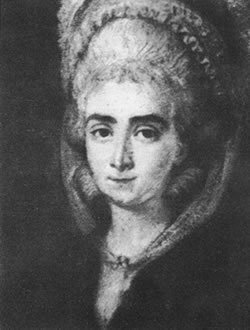 She toured Europe as a young woman, and while in Vienna in 1784, she met none other than Wolfgang Mozart. He was impressed by her talent, and composed a violin and piano sonata for the two of them to play together (K454). Mozart waited to compose the piece until the last minute. Strinsacchi had to learn the new piece very quickly, and Mozart himself played without sheet music. The next year she married a cellist named Johann Conrad Schlick. She also played guitar and composed. Arma Senkrah (1864-1900). Senkrah’s real name was Anna Harkness; she arrived at her pseudonym by writing her real name backward. (Once, in sly homage, conductor Hans von Bülow signed an autograph to her as “Snah nov Wolub.”) She was an American, but came to study in Europe in 1873, and in 1881 she won the first prize at the Paris Conservatoire. Eventually came to the attention of none other than Franz Liszt, who worked with her a great deal and praised her talents highly. At her husband’s insistence, she gave up her career after her marriage. She committed suicide in 1900, supposedly after he fell in love with another woman. Teresina Tua (1866-1956). Tua was born in Turin, Italy, to a musical family. She began playing the violin when she was six, and it wasn’t long before she was touring through Europe. She studied with Joseph Lambert Massart (Kreisler’s teacher), but in 1880, she won a major prize at the Paris Conservatoire and left the school. As a beautiful young woman, she bewitched European audiences throughout the 1880s, although much to her disappointment she received lukewarm reviews in America. In 1890 she married, went into semi-retirement, and gave birth to a pair of twins (who later died young). She eventually returned to the concert platform, touring with no less a pianist than Rachmaninoff. Later in life she became a teacher. In 1940 she sold all of her possessions, gave the money to the poor, and entered a convent. 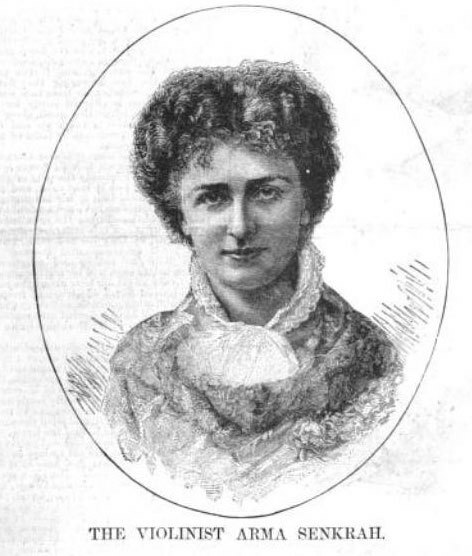 Camilla Urso (1842-1902). Urso was born in Nantes, France, the daughter of a flautist and a singer. 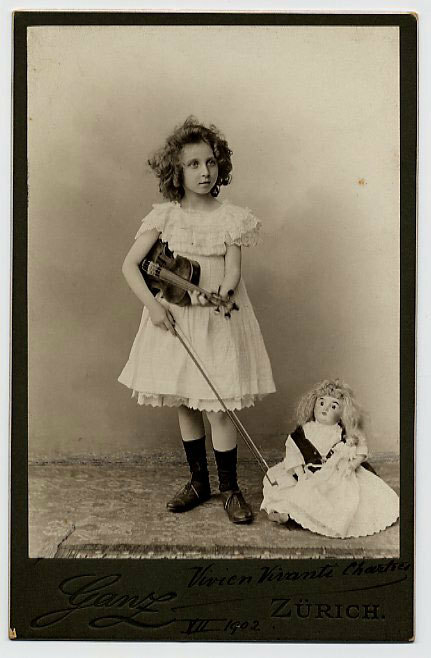 As a six-year-old, she insisted upon learning to play the violin, despite the fact it was considered to be a masculine instrument. Thankfully, her father recognized talent when he saw it, and he championed his talented daughter, persuading the officials at the Paris Conservatoire to accept her. She had a professional career that spanned half a century and four continents, but she was especially beloved in her adopted homeland of America. An ever-evolving list. Last updated 24 February 2012. Bartók – Violin Sonata No. 1 and No. 2 (Sz 75 and 76) – There is some question as to whether these works were dedicated to Adila Fachiri or Jelly d’Aranyi; the latter performed them with the composer in London in 1922 and 1923, respectively. Schumann – Violin Concerto – Joachim’s grand-nieces, Jelly d’Aranyi and Adila Fachiri, received word of the manuscript in a séance with Joachim. d’Aranyi played the London premiere in late 1937 or early 1938. Vivaldi – Violin concertos RV 387, 343, 229, 349, 248, 366 – Vivaldi wrote these six violin concertos especially for his protege Anna Maria della Pietà (I don’t believe they are available in a modern edition, but I could be wrong on this; you can see the manuscripts for some of them on IMSLP). Apparently he wrote even more for her but I can’t figure out which ones they were. Research fail. But I’ll get on that, ASAP. Rode – Violin Concerto No. 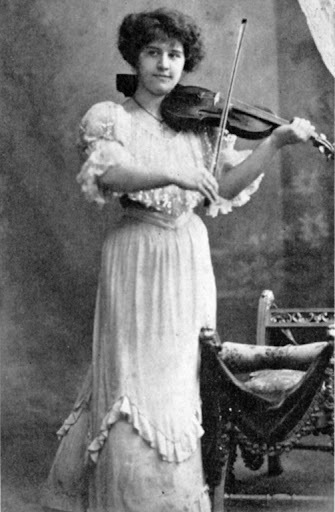 4 – According to the Victorian book Camilla: A Tale of a Violin, Camilla Urso played the second and third movements of this piece as her audition for the Paris Conservatoire at the age of seven. 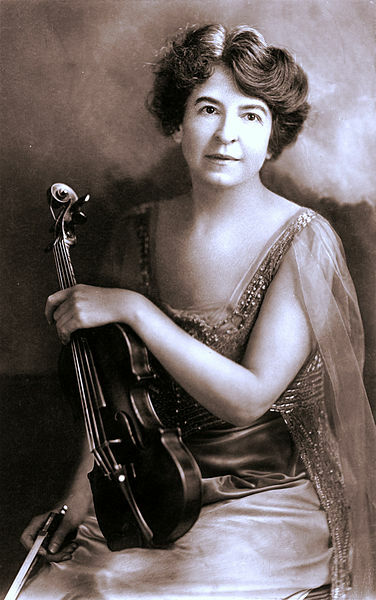 Barns, Ethel – Violin Concertos – Violinist, pianist, and composer Ethel Barns wrote at least two violin concertos and many other pieces. Unfortunately the scores are difficult to find today. Amanda Maier (alternately, Amanda Röntgen-Maier) – Violin Sonata – Maier, a friend of Brahms and Grieg, wrote this lovely sonata in 1874. *Note that Maud Powell arranged many pieces and had many more dedicated to her. Thanks to the work of the Maud Powell Society and Rachel Barton Pine, these pieces have been resurrected. If you are interested, visit the Maud Powell Society’s website for more information.